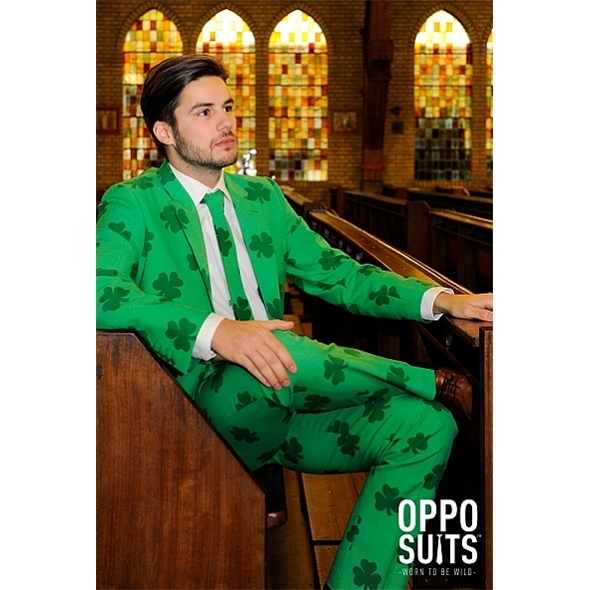 This spectacular Irish Shamrock Suit is perfect for holidays to Ireland. The jacket, trousers and tie all match, so you'll look tremendously eye-catching as you walk the streets of Dublin! The Irish are charming buggers aren't they? They're notorious for an adorable accent and a chipper outlook on life. 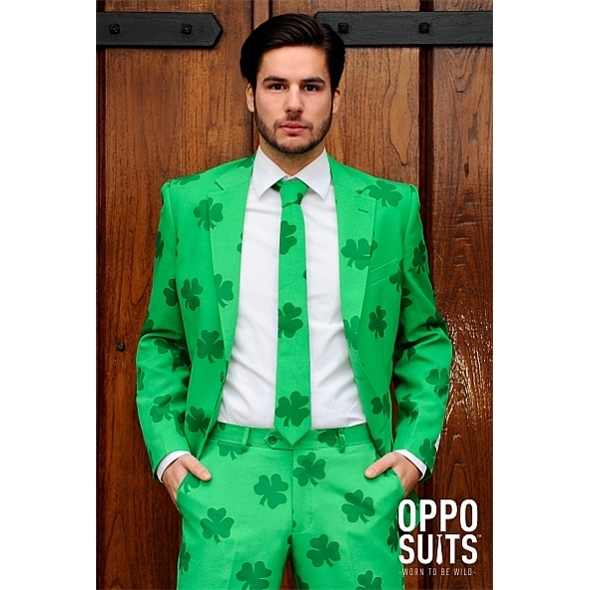 With one simple click you could welcome the Irish charm into your life with open arms - and get a pretty rockin' suit as a bonus. 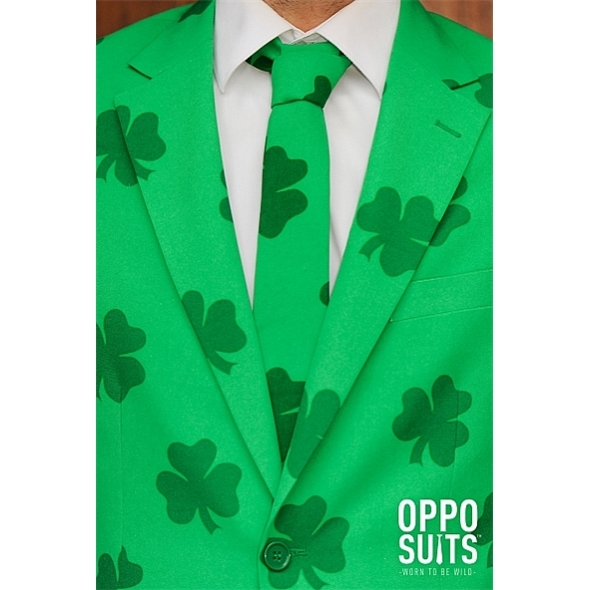 This bright green suit is covered with shamrocks and is basically a guaranteed pulling tool. It's so endearing and generally awesome that girls will be falling all over themselves to even get near you. 'UK Size' column refers to standard UK suit sizes. 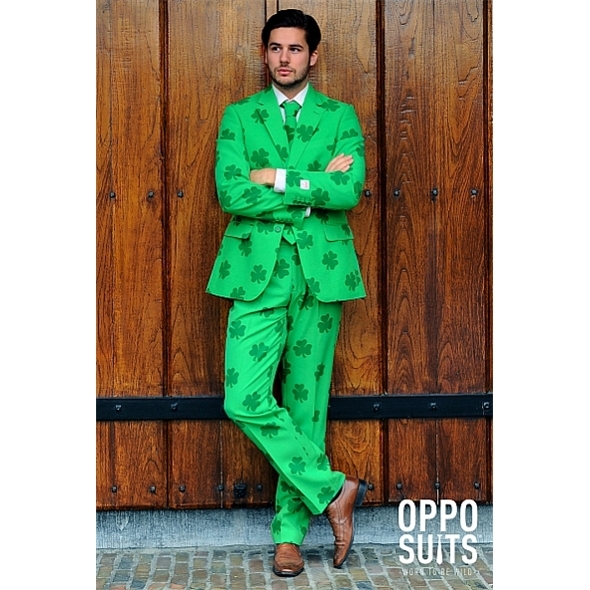 If in doubt, always opt for the larger size, as OppoSuits are made with a slim-fit design. < 38" < 33.5" < 32.5"
< 40" < 34.5" < 33"
< 41.5" < 35" < 33.5"
< 43" < 36" < 34"
< 44.5" < 37.5" < 34.5"
< 46.5" < 39" < 34.5"
< 48.5" < 41" < 35"
< 51" < 43" < 35"
< 53" < 44.5" < 35"
Great service. Suit is brilliant and they exchanged it within a week as I ordered the wrong size. Will definitely use again.